It's all come down to this. The big final of the IPL 2018 campaign will play out at the majestic Wankhede Stadium in Mumbai. Taking place on Sunday May 27 under the floodlights at 7pm Indian Standard Time, it will be 2.30pm BST in the UK. So we now know who will contest the final of the 2018 Indian Premier League. It's going to be the Chennai Super Kings vs Sunrisers Hyderabad - and you can live stream the IPL final online from just about anywhere on Earth. Having been suspended for the last two seasons, two-time winners Chennai Super Kings are looking for a record-equalling third IPL title. Their star-packed team will line up with the likes of local heroes MS Dhoni, Ravi Jadega and Harbhajan Singh. While the Sunrisers, looking for their second title in three years, will be hoping that their international big hitters Kane Williamson and Carlos Brathwaite can take them to glory once more. 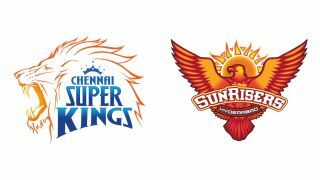 These two teams met only last week in the playoffs, where the Super Kings took a tense last over victory. But will the Hyderabad franchise be able to take the win when it really matters? If you’re a fan of cricket and don’t want to miss any of the action at IPL 2018 final, here’s our guide that will help you watch the game either on your television or online from all your favorite streaming devices. If you live in the UK, Sky Sports has won the exclusive rights for IPL 2018. This means you’ll be able to watch the matches on TV or if you would prefer to watch the live stream, you can do so by downloading the Sky Go app. If you aren’t signed up for Sky Sports and want to try it out for a shorter period, NOW TV offers a Day Pass for £7.99 or a Week Pass for £12.99 - effectively turning the IPL 2018 final into a pay-per-view event. If you want to watch IPL 2018 in the US then you can do so on Willow TV. Willow is a dedicated live cricket channel in the US and Canada that is available from a number of cable providers including Dish, Spectrum, Xfinity, Verizon Fios and more. Customers that subscribe to Willow TV will be able to use their cable provider’s login and password on willow.tv to stream IPL 2018 right from their computer. Alternatively, Willow TV also has apps for Android and iOS if your prefer to watch matches on the go. If you live outside of the UK or US - don't worry as we'll show you how you can watch IPL 2018 from where you happen to be in the world by using a VPN. With a VPN you can change your IP address to watch all the cricket action right from India. Simply open the VPN app, hit 'choose location' and select the appropriate location - it's super easy to do. Choose the UK or US to access the broadcasting options above, or Hotstar as described below..
Hotstar holds the exclusive rights for Indian Cricket and IPL which makes it the best place for streaming the matches online. You will have to sign up for its All Sports package which has an introductory offer of around $5 per year to watch IPL 2018. Where can I watch IPL 2018 with a VPN? A VPN will enable you to watch the IPL 2018 from literally anywhere. So that obviously includes: Australia, Israel, Finland, Canada, Denmark, Germany, Netherlands, Brazil, Spain, Romania, South Korea, Mexico, Sweden, France, Ireland, Poland, South Africa, China, Japan, Russia, Italy and more! YuppTV has the exclusive live streaming rights for IPL 2018, in Australia, Singapore, Malaysia, Europe, South America and South East Asia. If YuppTV isn’t suitable to users in Australia, they can opt for a $39 Foxtel subscription for the same. Cricket in Pakistan and Bangladesh is as big as it is in India. For those in Pakistan, Geo Super is streaming the league in the country via their website and app. In Bangladesh, fans can watch IPL 2018 on Channel 9, which holds the official broadcasting rights. In addition to aforementioned YuppTV, IPL fans in the Middle East and rest of North America can watch the live stream online using beIN connect at $18/month subscription charge. Other countries include UAE, Saudi Arabia, and Egypt. In South Africa and sub-Saharan Africa, SuperSport is the official broadcaster of IPL 2018. So if you are an existing subscriber of SuperSport, you can catch the live stream online.